Cobalt chloride complexes. 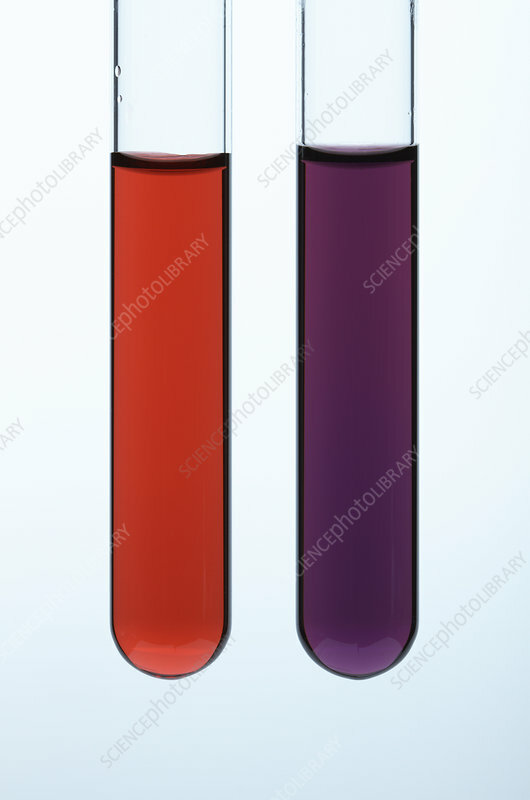 Two cobalt chloride (CoCl2) solutions in test tubes. On the right is a 0.5 M water solution. Cobalt ions are complexed with water ((Co(H2O)6)2+) resulting in pink-red colour. On the left, concentrated hydrochloric acid has been added to the water solution. Cobalt ions are complexed with chloride ions ((CoCl4)-) and the solution colour changes to blue.